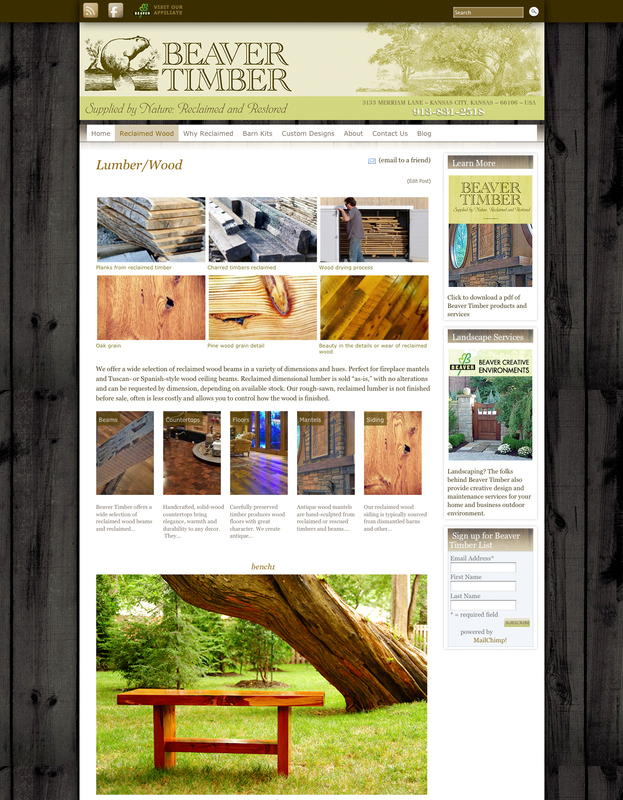 Web Site for reclaimed lumber business based in Kansas City. 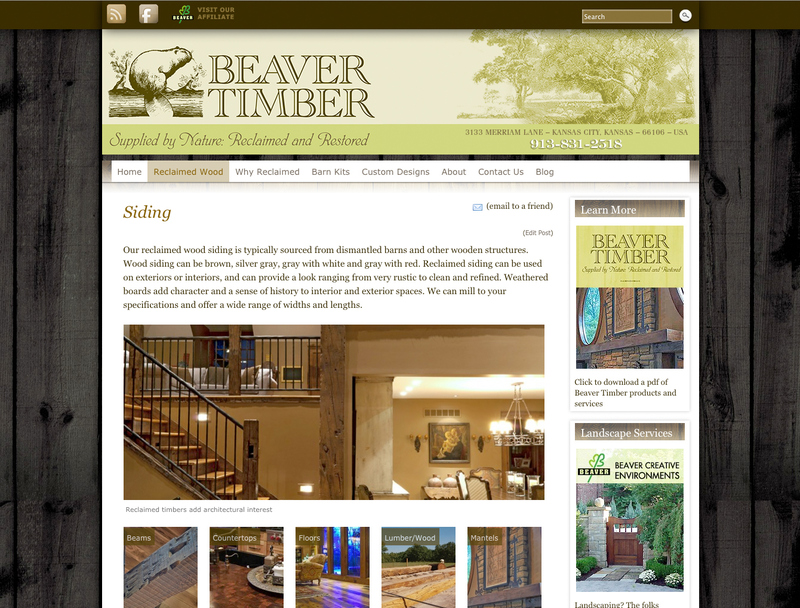 Beaver Timber. 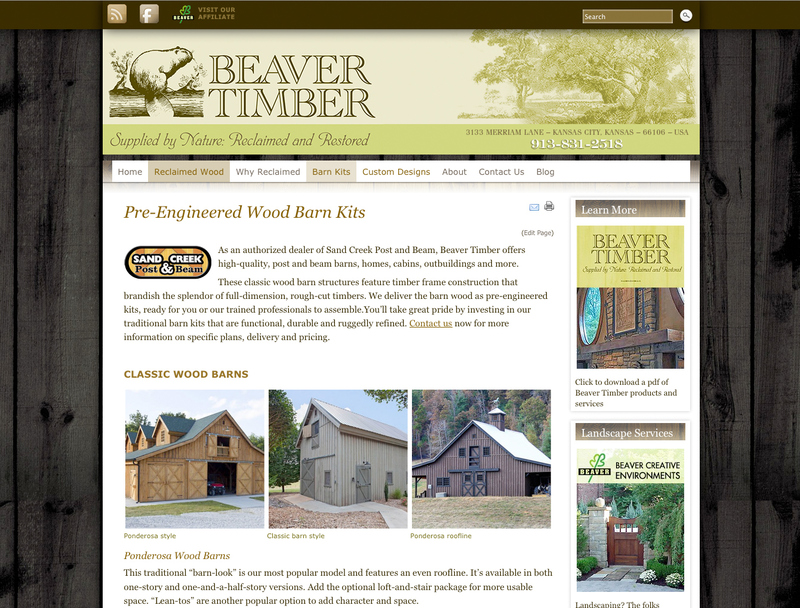 Beaver Timber needed a site that would showcase an extremely wide variety of related reclaimed lumber. 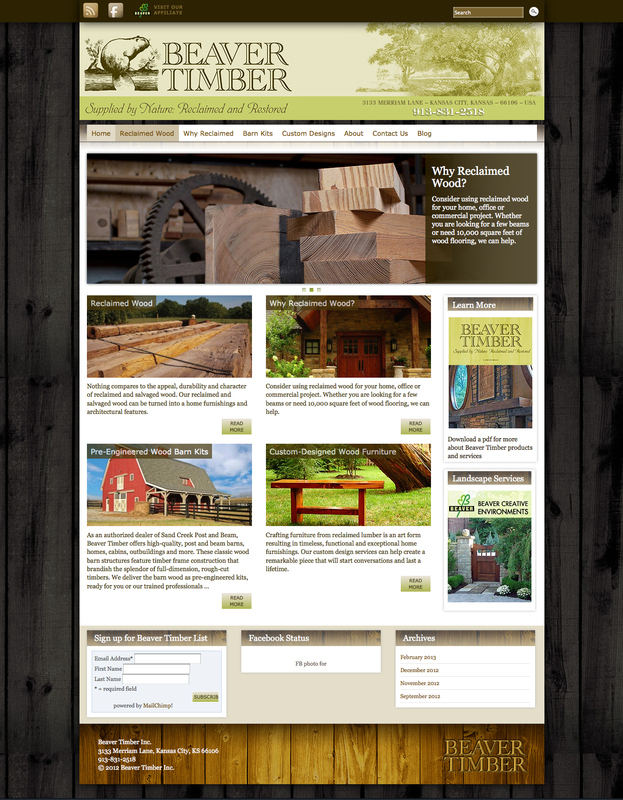 Using a heavily customized and feature enhanced template based in Wordpress, their search engine ranking quickly rose to beat out their competitors position within 4 months of launch.